STAY TUNED FOR UPCOMING SPECIALS…. STAY TUNED FOR UPCOMING SPECIALS…. STAY TUNED FOR UPCOMING SPECIALS…. Welcome to Roma Bakery & Deli, home of Hamilton’s famous slab pizza. 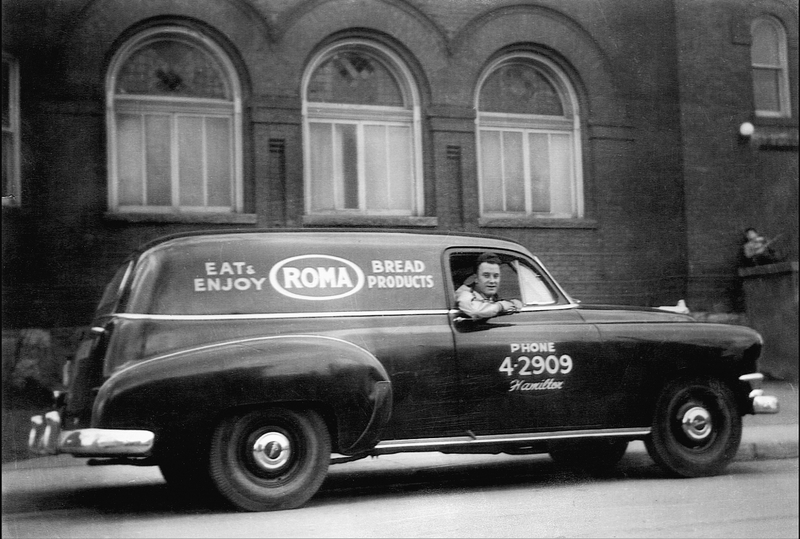 Roma Bakery was established in 1952 as a small bakery with a door-to-door bread delivery service. Since then Roma has grown into a full-size deli, bakery and hot food retailer serving the good people of Hamilton, Stoney Creek and the entire Golden Horseshoe. Please take a few moments to view this new website and see why Roma is one of the busiest bakeries in town and the first destination for our famous bread pizza and much, much more. In 1952, when horse-drawn delivery carts were still a familiar sight on the streets of Hamilton, Philip DiFilippo, with wife Pauline, opened a small bakery and bread delivery service in the city's north end. Over the years, Roma has expanded in response to the needs of its loyal and growing customer base. 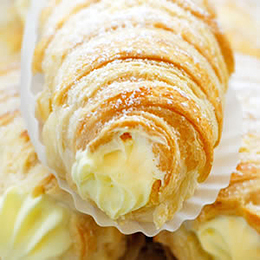 Carrying on their father's tradition of quality, value and service, owners, Philip, Adam, and Joseph DiFilippo have gradually added pastries, a delicatessen and recently a hot food table to Roma's repertoire. Visit Roma Bakery soon and treat yourself to authentic Italian breads, pastries, a slice of famously delicious pizza, exquisite deli meat and cheeses, a hearty meal, and so much more.... and there's plenty of free parking space. Roma's authentic Italian pizza, pasta, porchetta, and desserts have been the taste of little Italy in Hamilton for half a century. 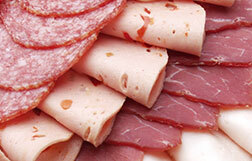 Roma Bakery and Deli carries a delicious variety of domestic and imported cheeses, cured meats and cold cuts. 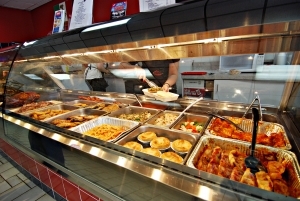 Come in and see our new hot table filled to the brim with delicious, home-made foods that always hit the spot. 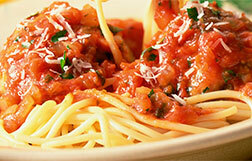 Roma sends out a monthly specials newsletter with great specials and a new coupon every month. Roma's slab pizza is known far and wide for its unique sauce and superior dough. If you haven't tried it yet, you're in for a treat. 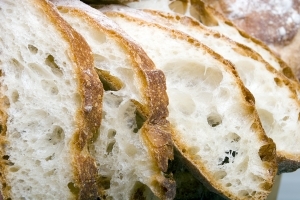 Roma Bakery's breads, pastries and cakes are all made by hand fresh daily. Pick some up today! At Roma, we love to get feedback from our customers. I'm always delighted to get emails with testimonials and comments about our foods and services. It's how we learn to do better. Another way to share your thoughts is to give a review on local directories such as Yelp and especially Google Places. Other readers would benefit from your comments. 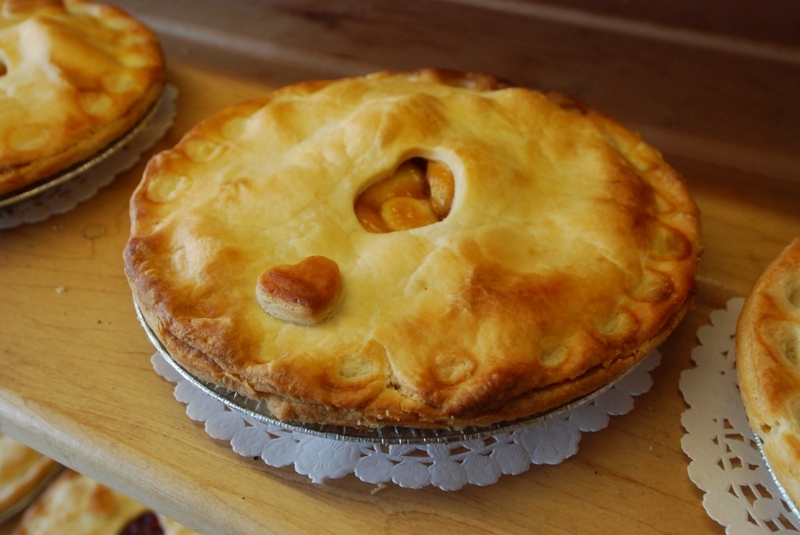 Also, be sure visit us at www.facebook.com/RomaBakery and twitter.com/romabakery. Our one-of-a-kind catering continues to grow and develop. Over the past few months we have been catering all sorts of events from home parties through corporate events to family celebrations. Our homemade, fresh and authentic catering menu provides you with affordable, straight-from-the-kitchen food. Thanks for visiting and be sure to say hello when you are in the store. Please visit our specials page to see our new specials or download our website-only coupon for delicious deals. Come back soon for upcoming specials and features. Or better yet, sign up for our e-newsletter. Lunch Specials: Mediterranean vegetable soup, cannelloni, manicotti, pasta al forno, pasta alfredo, and chicken parmigiana. #Romabakery, #Romapizza, #HamOnt. Lunch Specials: creole chicken gumbo soup, cauliflower and cheese soup, mac n cheese, pasta alfredo, chicken parmigiana, cabbage rolls and lasagna. #Romabakery, #Romapizza, #HamOnt, #pastaalfredo, #chickenparmigiana. Lunch Specials: Mediterranean vegetable soup, chicken cheddar broccoli chowder soup, mac n cheese, meat tortellini in a rosé sauce, lemon chicken, sausage medley and chicken parmigiana. #Romabakery, #Romapizza, #HamOnt, #lemonchicken,#meattortellini.